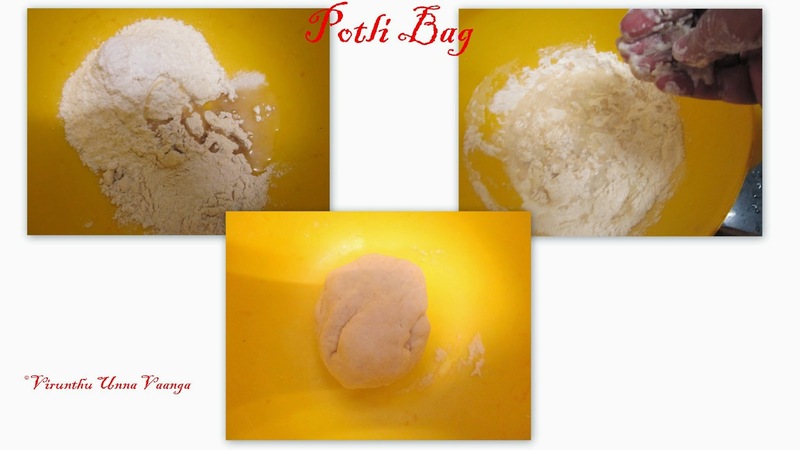 Take wide mixing bowls add flour, salt and water and knead it well and keep it aside and move on to masala preparation. Heat oil in a pan add cumin seeds wait for splutter then add onion and garlic saute it for 2 minutes or raw smell goes. Now add other spice powders and saute it for 2 minutes on low flame and switch off the flame. 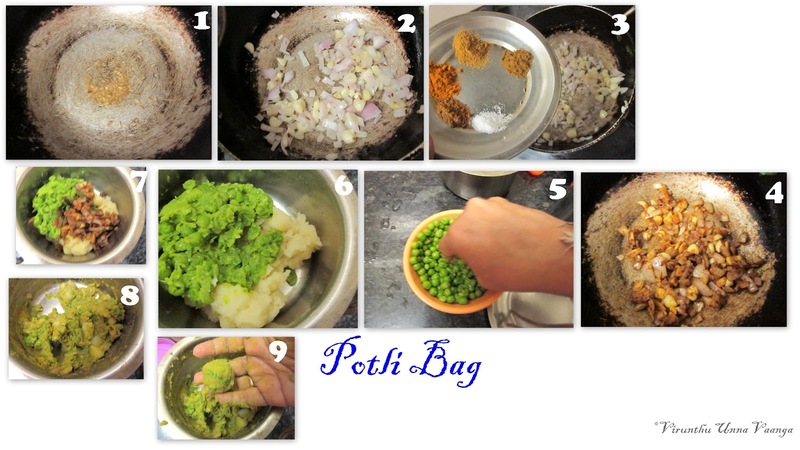 Take the mashed potatoes and mash the boiled green peas in a bowl. 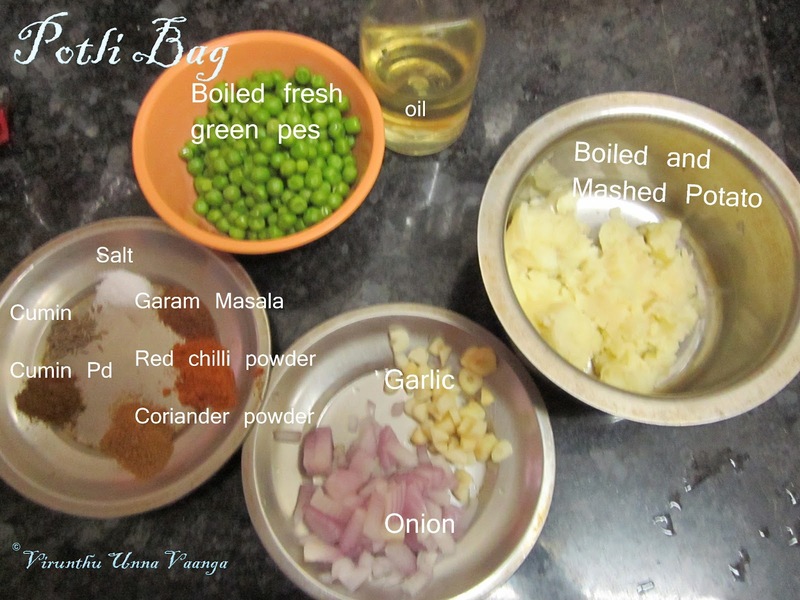 Add the masala mixture to this and mix it well till everything is combined. Grease your hand with oil and make small balls. 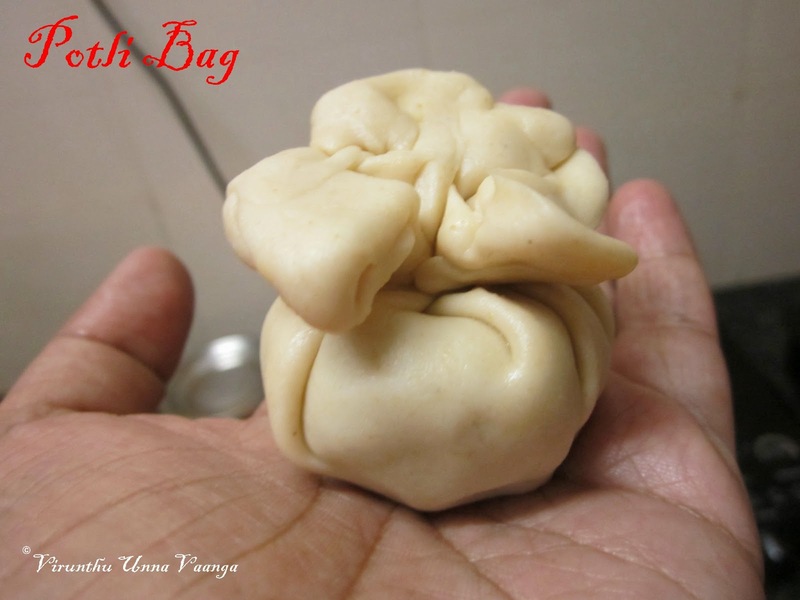 Make equal size balls of the dough and masala mixture. 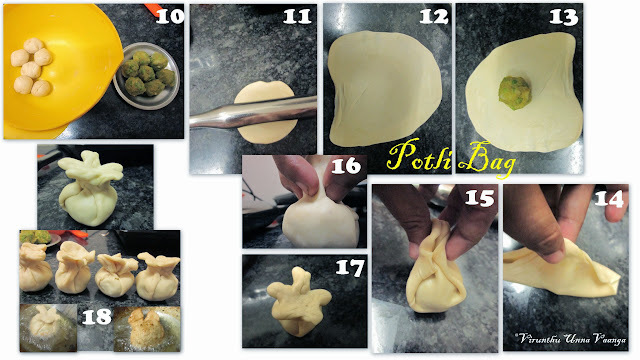 Roll the dough into thin sheet and place the masala into the center and fold it as shown in the picture to get the potli bag shape. Heat enough oil in a kadai. Deep fried all the potli bags one by one till get golden brown. 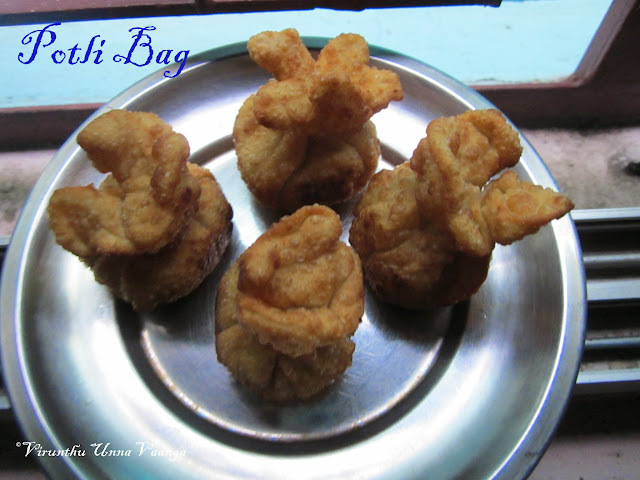 Very Crispy and Delicious Edible Potli Bag!!! long time back tasted this in chineese restaurant ! 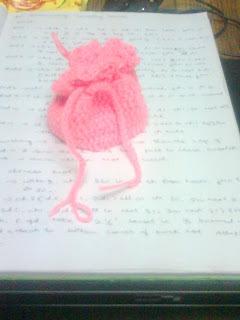 Such a cute idea, Viji.. 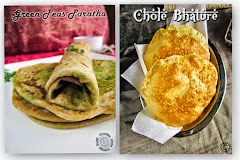 Snack looks delicious too..
Great starter for a party..
i love both the edible and nonedible potli ,looks cute. 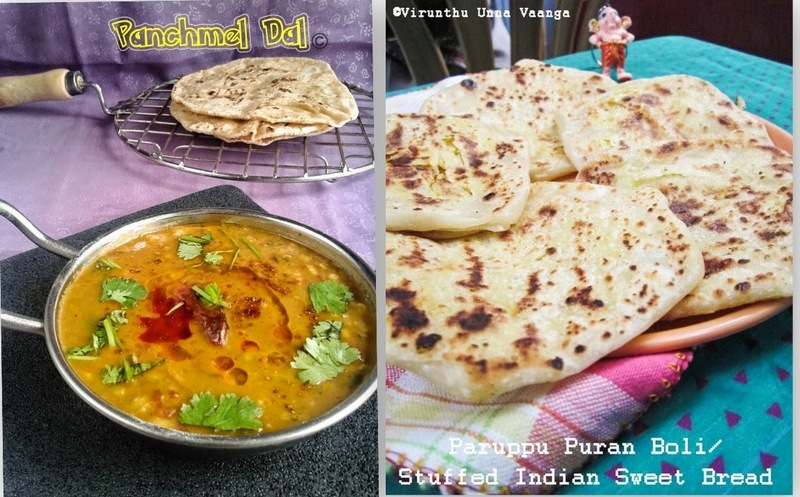 Looks very yummy..love the filling. 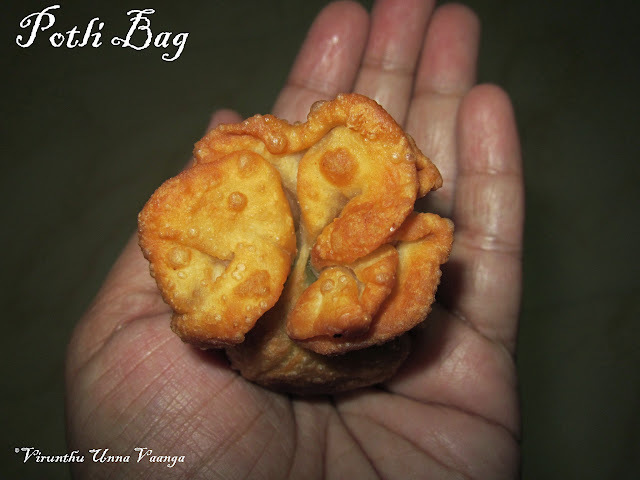 Love that crochet potli bag sis,i love crochet.. And that cute fried potli looks tremendous and feel like munching some. remembering kuchelan kizhi. 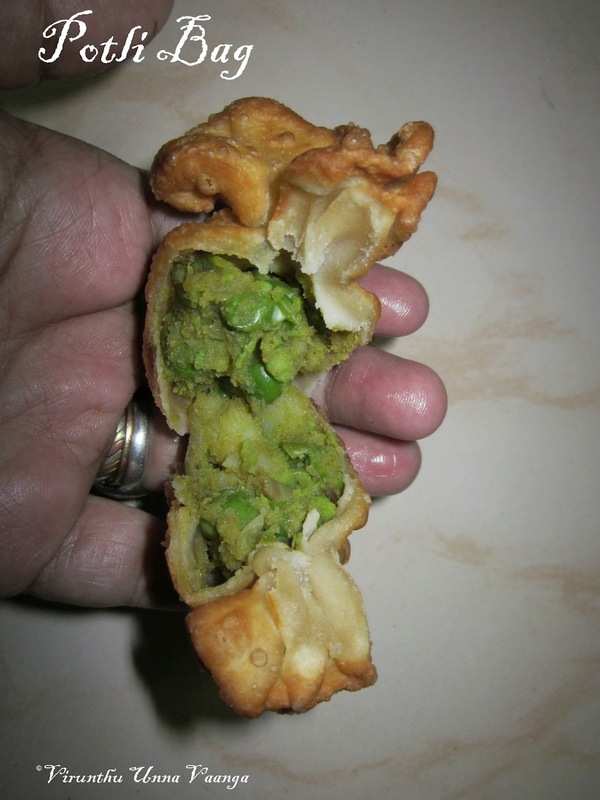 Lovely stuffing and a perfect tea time snack. potli bag looks too cute n inviting viji..filling also sounds delicious...well done viji! 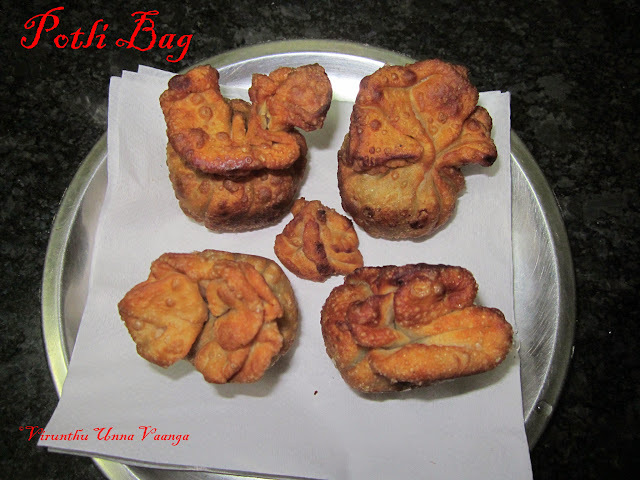 potli snack bag looks so cute n inviting da..filling also sounds delicious..well done viji!